A homeless man was found and evicted from underneath the Lake Shore Drive bridge over the Chicago River where he had been living in the girders for 3 or 4 years. Amongst his possessions were a Sony Playstations, a Microwave and a 19-inch TV which he powered by taping into the bridges electrical system. I can't believe I didn't catch this one sooner as it happened last Sunday. It is one of those events that sparks the imagination; the kind of event that makes you realize what a fascinating (if not wonderful) world we live in. I could not stop reading articles on this incident until I'd read nearly every article online. Indeed I may go back and read every blog post to see what others are saying. It's truly fascinating. I have composed a whole lot of notations and quotes from sources below. There are some pictures and even a video clip from the local news, though it is in the (loathsome) Windows Media Player format. However, the best article appears to be the original Suntimes article at the following url. "Chicago is abuzz with the story of Richard Dorsey a 36-year old 'homeless' man evicted from a shelter he created on the underside of a drawbridge spanning the Chicago River near Lake Shore Drive. Slipping through a 12x36' opening, Dorsey and a few other followers were able to wiggle down below the road level, hiding their shelter from below with blankets. Amazingly, Dorsey had a television, video game console, and other appliances hooked up to bridge electricity, living a relatively normal life regardless of the location. More amazingly, when the bridge would open to allow boats to pass, Dorsey would brace himself as he was slowly pushed forward into an upright position, something he described as like riding a ferris wheel after he got used to it." 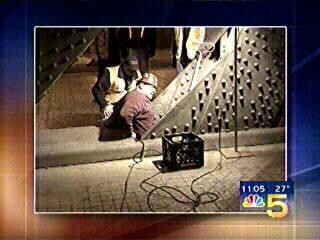 "Bridge shack man evicted: A HOMELESS man who lived in a shack under a Chicago bridge has been evicted. 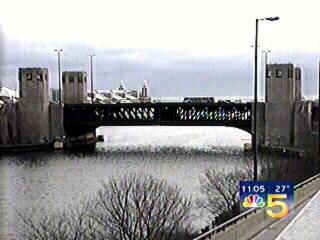 Richard Dorsay lived in a wooden shack built into beams and girders of a drawbridge that crosses the Chicago river. Dorsay had tapped his hut, in a fashionable part of the city, into the bridge?s power supply and had a PlayStation, TV, microwave and heater"
"Dorsay's feat is quite a marvel of engineering and architecture and a definite resume-builder. He'd better get a patent because these 'drawbridge dorms' could be the new it housing option in Chicago; the new Lincoln Park or Wicker Park loft. Getting caught may be just what he needs to kick-start a lucrative career." - from Chicagoist: Holy Crazy (Homeless?) Guy! When you let out your premises, you may have to deal with a number of different people. You may come across honest tenants who pay their rent on time and or come across problem tenants who may not be paying rent on time or may not be taking proper care of the accommodation provided to them. In the case of the latter, you can choose to evict problem tenants. In order to How to Evict Squatters or, problem tenants, a notice is served on the tenants for the breach of the agreement. Many a time, the notice itself helps you to evict problem tenants or get the dues. But in case, the tenant continues to be a nuisance and does not vacate or, pay the rent then the next step is to issue proceedings against your tenant.